Best Deep Cycle Battery - Exide, Trojan or US Battery? 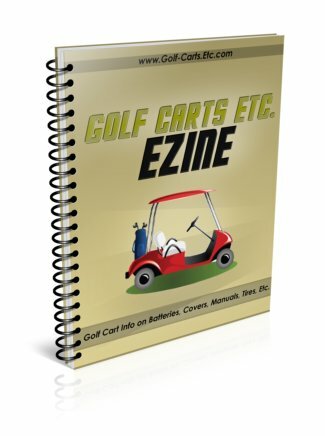 Looking for the best deep cycle battery for your electric golf cart? Find out why Don Wallace thinks that US Batteries are your best choice. 1. Tell us about your company, U.S. Battery. How long have you been in the lead acid deep cycle battery industry? U.S. Battery has been in business since 1926. During that time, we have specialized in the design and production of premium deep cycle batteries. Typically, we have been very strong in the golf, floor cleaning, aerial and platform lift, marine and now the renewable energy markets. U.S. Battery has three manufacturing facilities, two of which are located in Augusta, Georgia and one in Corona, California. From a distribution standpoint, we have developed a very strong domestic distributor network as well as selling our batteries into over sixty different countries around the world. 2. 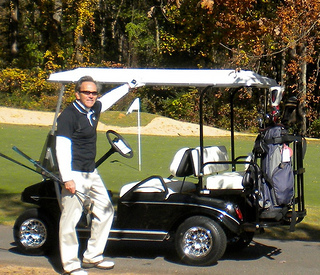 In our golf cart community, Peachtree City, Trojan and Exide batteries are the most familiar golf cart battery. 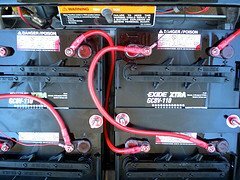 What makes U.S. deep cycle batteries different or better? U.S. Battery competes on a head to head basis with Trojan and over the years our batteries have been tested and approved by just about all of the OEM companies that we have gone after. Companies like Club Car, EZGO, Yamaha, Columbia Par Car, Skyjack, JLG and Nilfisk Advance to name a few. There are a lot of performance claims being made through various marketing channels, however, we feel that the best test is to put our batteries in the application and let them do what they were designed to do, work very hard and, if properly maintained, very long. This manner of testing provides you with the assurance that you bought the very best. Judging by our continued growth in both the OEM and aftermarket segments, our customers and potential customers feel that U.S. Battery offers a better alternative. We work very closely with our entire customer base to ensure that our batteries not only fit the application but exceed the expectations. Most recently, we launched our XC2 product. This new formulation has been designed to provide the highest performance possible with the greatest recharge acceptance. What this means to the end user is higher output, longer life and higher levels of efficiency when recharging. 3. 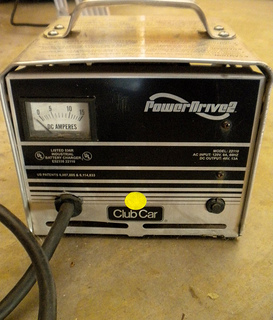 Your website states that U.S. lead acid batteries last longer than other makes of deep cycle batteries. Compare the life of your golf cart batteries to the typical life span of Exide or Trojan batteries. With the introduction of XC2, we have generated new, comparative data which accurately compares our battery performance with data currently being published by our competitors. In that head to head comparison, the US brand out cycled the leading competitor by several hundred cycles. Other factors to consider when looking at the data are that the US brand exceeded the rated capacity and stayed well above that top end rating considerably longer than the competition. 4. Another great feature of U.S. batteries is the fast cycle up to full capacity. Can you give us some specifics on how fast your batteries will become fully charged on let's say a 48 volt golf cart that is almost completely discharged compared to Exide or Trojan batteries? The first thing that we need to do is look at the question; technically this is a two part question. The first question relates to fast cycle up to rated capacity and the second has to do with recharge ability, two very different issues. Let’s tackle the issue of fast cycle up to capacity first. One of the big issues when dealing with deep cycle batteries is the fact that they take, in many cases, up to 125 cycles before they hit the rated capacity. This means shorter runtime on the front end of battery life and if not managed properly, could have a negative effect on battery life. Our XC2 formulation, when using the U.S. Battery recommended charging algorithms, will allow the battery to cycle up to rated capacity in as few as 25 cycles. This means more usable runtime over the life of the battery pack and more work accomplished by your customer. The issue of recharge ability has to do with many factors such as battery formulation, internal resistance and the overall capability of the charger being used. Our new XC2 formulation greatly improves the batteries ability to accept charge. The XC2 also improves or lessens the internal resistance by creating very small and uniform tetrabasic crystals within the paste material. The biggest issue that we find today is that with the advent of high frequency or “smart chargers”, there is an extremely high level of incompatibility within the system. What I mean by this is that these new chargers often have limitations that are encountered before the battery can be fully recharged. If this continual undercharge persists over an extended length of time the battery capacity will begin to walk down, giving you the impression that the battery is failing. While there are many good high frequency chargers on the market, they are typically very expensive. Generally, you will see brands that fall outside of the parameters that most battery manufacturers require to fully recharge their batteries. Even if you are lucky enough to have one of the top end brands, there is no guarantee that it is not a stripped down model. U.S. Battery has developed an easy testing procedure for determining if your charger is functioning at a level necessary to fully recharge your battery. You can obtain that information free of charge, by logging onto our website and requesting the simple and easy test procedure. This one DIY test could end up saving you hundreds of dollars and hours of wasted time! This issue of recharge ability is going to become even greater as the state of California and soon the rest of the country begin imposing new standards for the efficiency levels of not only the chargers but the charger/battery combinations. This will mean that charger manufacturers will be scaling down the Ampere hour output to ensure that they can meet the new standards. If the charger/battery combination cannot make the efficiency rating it will not pass. The good news is that U.S. Battery has taken a proactive stance on this issue by developing the XC2 formula. With this improvement in place we are ensuring that you will have a battery that will work very well with most of the chargers currently available. This will allow the battery to charge faster, more completely and at the lowest cost of use. 5. How will using U.S. golf cart batteries save a person money? If you consider one of the previous questions where we were looking at the overall life of the battery, you can use the cost per cycle comparison. For illustration purposes only, if both batteries cost $100.00 and the cycle life of the leading competitor is in the 550 range (as their current advertising illustrates), it would cost you $0.18 per battery each time you used your particular piece of equipment. Conversely, if you were using the U.S. Battery brand at 850 cycles, it would cost you less than $0.12 per battery, per cycle. Another USB advantage is the fact that we allow more space above the plates thus allowing for more electrolyte. This reduces the frequency with which water will need to be added saving both time and money. Exide, Trojan or US Battery? 6. What is the typical cost of your 12 volt lead acid battery? How does that compare to the typical cost of a Trojan or Exide battery? I think that in just about any corner of the world you will find that the U.S. Battery brand is very competitive. Something that you need to consider when comparing price is that most batteries are being sold on an exchange basis. What this means is that when you buy a new battery, you must return the old battery. The price that you are being quoted is the net result of taking the published base price less the core value of the old battery being turned in. In order for you to make the most educated decision when purchasing, you need to compare the base prices being charged without the core. Keep in mind that if you do not turn the core in at the time of purchase, you will be charged a much higher price. What initially looked like a really good deal could ultimately end up being something completely different and much more costly. 7. If someone was interested in replacing their golf cart batteries with U.S. Batteries who would they contact or how would they find them? There are several ways to contact either one of our distributors or someone at any of our three manufacturing facilities. The easiest way would be to log onto our website at www.usbattery.com and click on the tab called “Find a dealer near you”, this will allow you to select the dealer closest to your location. The next best method is to contact me directly at dwallace@usbattery.com. I will make sure that you are connected with the U.S. Battery salesman in your area.